The Star Entertainment Group this week lodged a development application with the NSW Department of Planning for a $500+ million, 220-room hotel tower that will herald the return of the famed Ritz-Carlton brand to Sydney. The proposed 61-storey tower will comprise the hotel component and 200 residences at The Star Sydney complex. 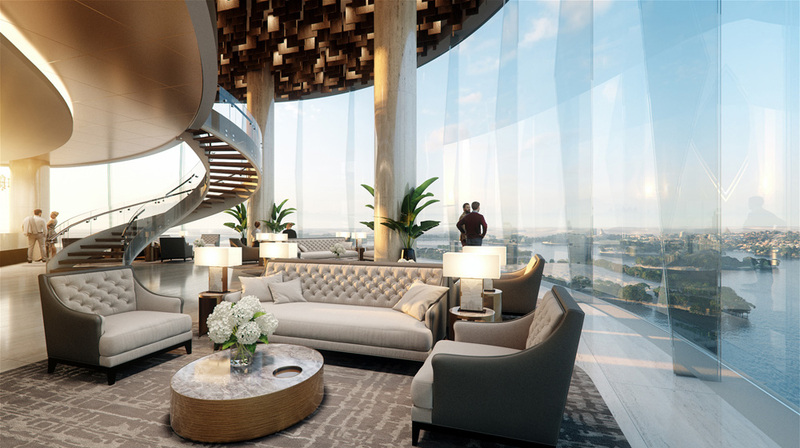 Together with works in a connected ribbon development, the residences will include new resort amenities – three pools including two with harbour views, two gymnasiums and a spa and wellness centre – and significantly more food and beverage offerings. Proposed port cochere entry to The Ritz Carlton hotel – Concept image only, subject to all approvals. 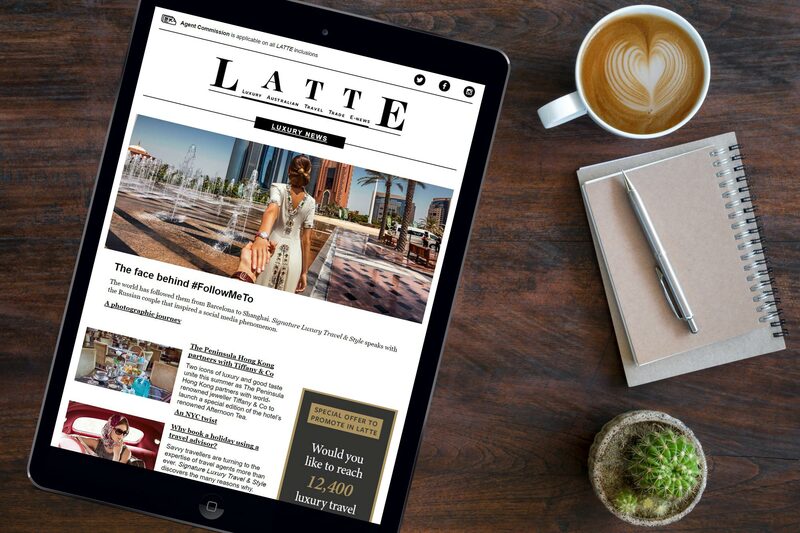 The Star is partnering again with Hong Kong-based Chow Tai Fook and Far East Consortium on the project, in a similar alliance to that which the Group has in place for the Queen’s Wharf Brisbane and Gold Coast Star developments. Architects FJMT, led by Richard Francis-Jones, won a Design Excellence Competition in December 2016 to secure the rights to design the tower. 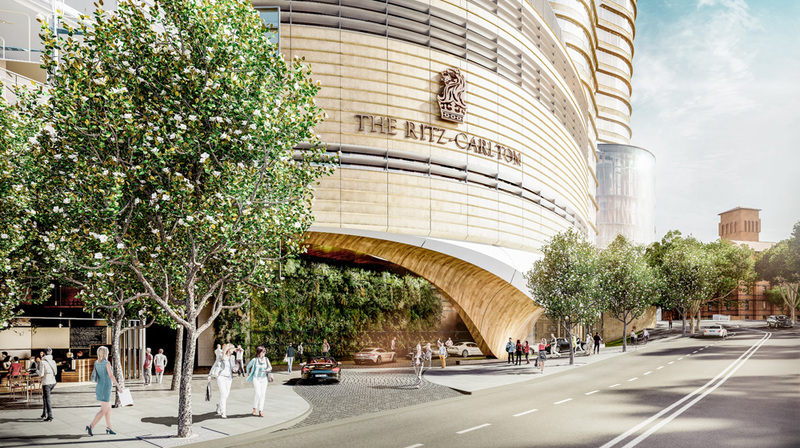 Features for The Ritz-Carlton hotel will include a Sky Lobby, complete with a publicly accessible signature restaurant and harbour views and a rooftop terrace. Sky Lobby in the proposed tower – concept image only, subject to all approvals. 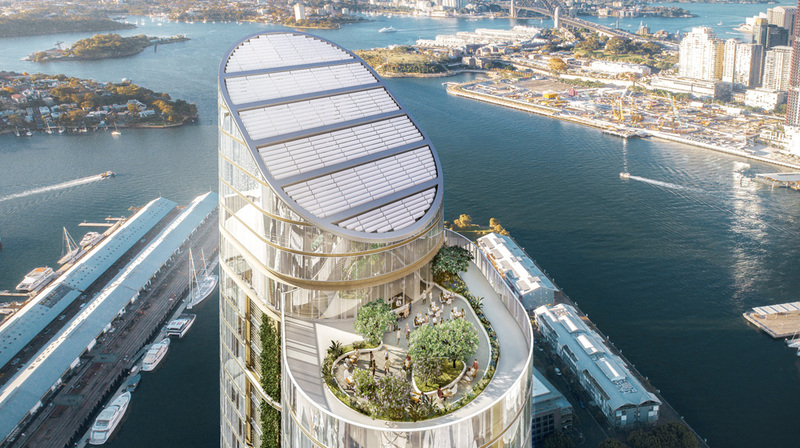 The new development will sit wholly within the existing footprint of The Star Sydney and bring further exciting facilities to the burgeoning Pyrmont-Darling Harbour-Barangaroo precinct. It will support the new Sydney International Convention Centre and help connect Darling Harbour to the Sydney Fishmarket and The Bays Precinct. According to The Star Entertainment Group CEO, Matt Bekier, the development will deliver significant benefits to the local community, Sydney as a destination of choice for domestic and international visitors and the Australian tourism sector more generally. Rooftop terrace of the proposed Ritz-Carlton hotel – Concept image only, subject to all approvals. “Bringing a world-renowned brand like The Ritz-Carlton to The Star Sydney will further embed our reputation as a tourism and entertainment destination of global appeal. It will also help bolster Sydney’s position in a highly competitive regional and international market and provide national impetus as well. Australia currently attracts just 1% of China’s international outbound travellers,” he said. Bekier said he looked forward to receiving the necessary approval to move forward with the project. The development will feature a Pyrmont Neighbourhood Centre over five levels comprising a proposed social enterprise café, reading room, function space, collaboration hub and rooftop terrace. 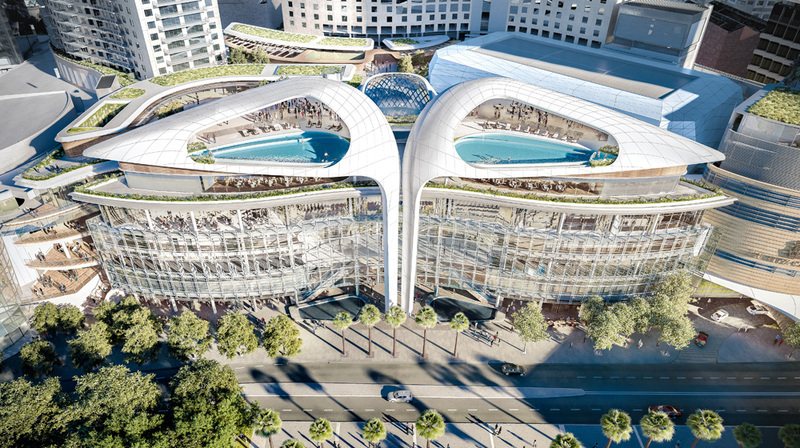 View of the proposed ribbon development (including pools) above the existing façade – Concept image only, subject to all approvals. The Ritz-Carlton exited Sydney a decade ago after operating hotels in Double Bay and Macquarie Street in the CBD. Lead picture – External image of the proposed tower and ribbon development.